UPDATE: THIS NO LONGER WORKS. Stardoll is giving out another Alice in Wonderland Dress! Awesome! 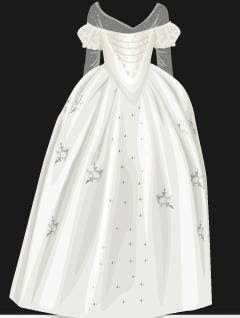 I love the Red Queen Dress, but this is the White Queen one. I hope theres more to come! Close everything itll be waiting in your suite. How do you get it?I'm a USA member but I still don't know how to get it.Where is the tab or whatever that you click on?